So previously I mentioned I’m selling off my ST1100 and downsizing to a smaller bike for my work commuter. 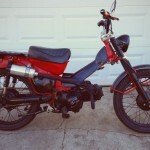 Here’s what I came up with a 1984 Honda Trail 110. It’s currently non-running and non-titled so I’ll need to do some work on it to get it road worthy, but I’m really excited about it and I think it’ll work perfectly for me. 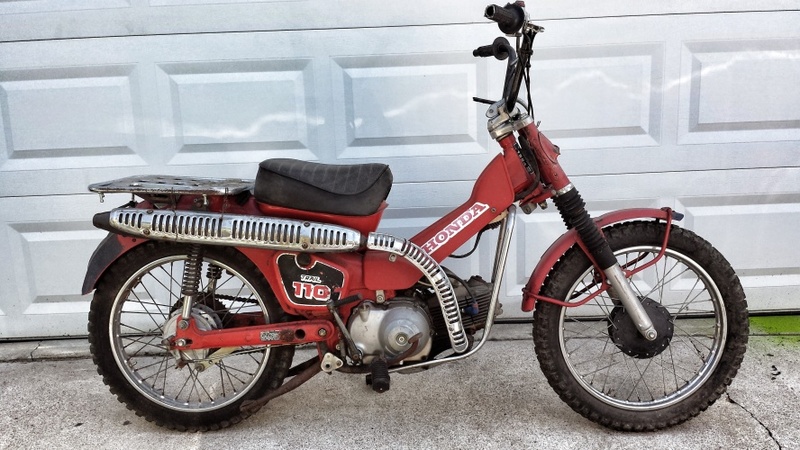 I’m pretty stoked to have a small 4-stroke I can dig into as well. I’ve turned many a two stroke inside out and rebuilt this and that, but for the most part the larger 4-stroke machines I’ve had have been relatively maintenance free. This gives me something I can treat more like I would a moped. I’m going to be calling it “The Dysentery Trail” in homage to the classic Oregon trail.